Following the decision of the Ministry of Information and Broadcasting (MIB) to withdraw TV channel slot auction process from platform DD-Freedish, private TV channels are bound to lose huge advertisement revenue. It must be mentioned here that most of the big private TV channels have become FTA channels due to the availability of DD-Freedish reach at a nominal fee and as a result there was a sudden increase of their TRPs, directly also boosting their ad revenue. 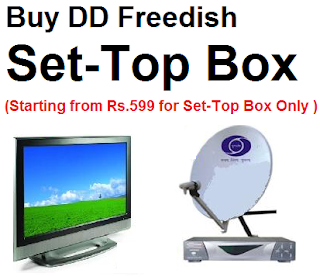 In fact few of private TV channels which are still a pay channel for private DTH platforms and cable operators have become FTA for DD-Freedish. 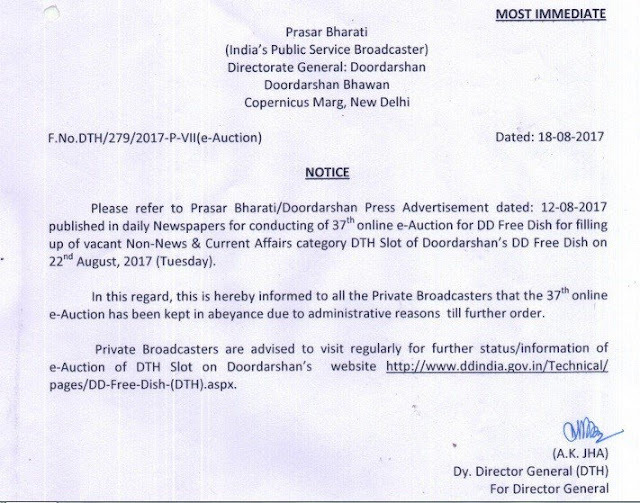 The last e-auction took place in July, in which DD-Freedish had earned Rs. 85.10 crore and awarded slots to 11 private broadcasters. Another auction scheduled for August was cancelled by the broadcaster, citing “administrative reasons” as per the notice dated 18.8.2017 (see letter). DD-Freedish used to hold e-auction once in every couple of months to award vacant channel slots on DD Freedish to private broadcasters. At present, the platform carries 80 TV channels, including private entertainment channels Star Utsav, Sony Pal, Zee Anmol, Rishtey and news channels Aaj Tak, ABP News, Zee News, and News 24 to name a few. At present the platform has two vacant slots but the number will increase to about 10 by the end of this month if no decision is taken by the ministry. Please get Sahara TV into DD Freed ish. It is presently a Malayalam ad-free information channel. Will be very popular and also make your basket richer.